I've been busy doing a little bit of sewing and came up with 3 kits for you! The patterns are only available in the kit and I have a limited quantity number of each kit... so pick up them up QUICK! -includes runner fabric, binding fabric, vintage merlot rick rack AND the pattern is only in this kit! 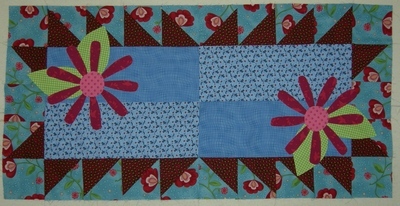 -includes runner fabric, binding fabric, AND the pattern is only in this kit! 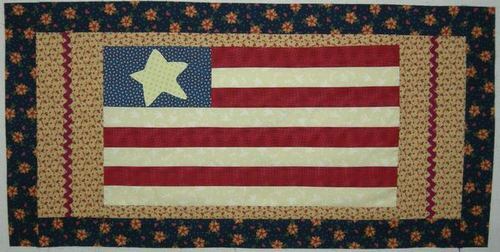 This pattern also looks FABULOUS without the applique.